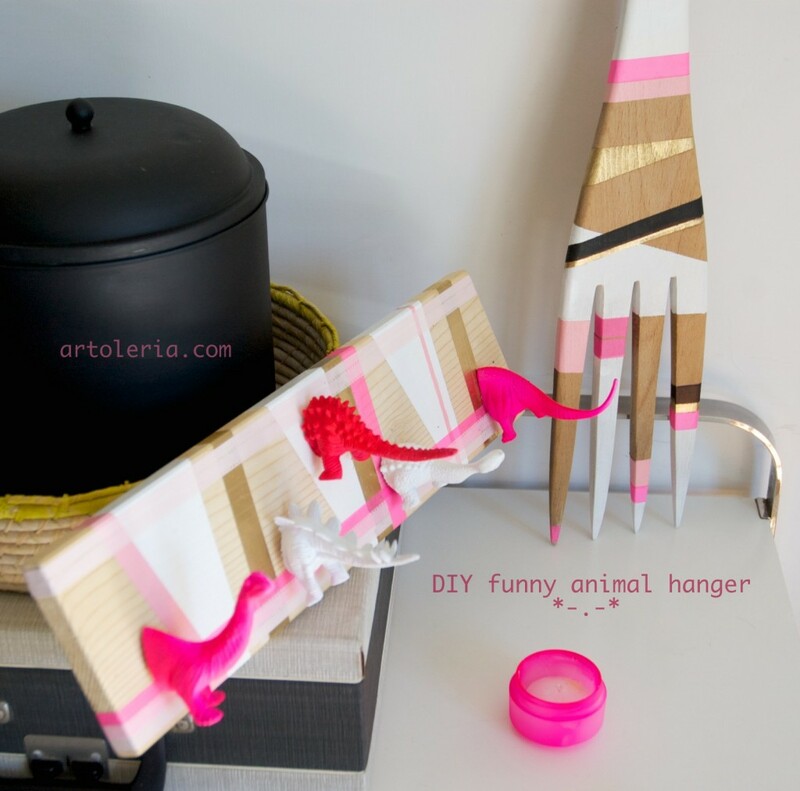 DIY: plastic toys+wood tablet+style= my new hanger!! There is still a subject of which I have not yet spoken among those brought to the show. This is nothing new, you see these hangers frequentely over the web . 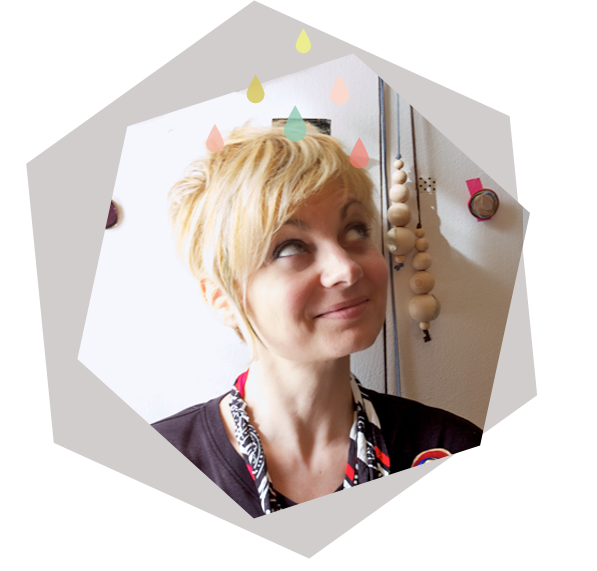 But after the experience of my workshop from the truth, I do not take it for granted that everyone here in Italy uses their curiosity on the web for DIY, and I propose it anew. Personally, I’d need a new hanger for the room of Gioia. I wanted to give it a style and was inspired by a video that my blogger friend Valentina (Appuntidicasa) shared. Giving a personal style, contemporary in my case, the objects that you want to reuse creativity can be a long search. I never wear at home improvised pieces, colors that clash, just to impress with a good idea. I need more and more things have recovered a sense, a consistency in their context. So I studied to do things I would otherwise never have experienced, but maintaining a style. 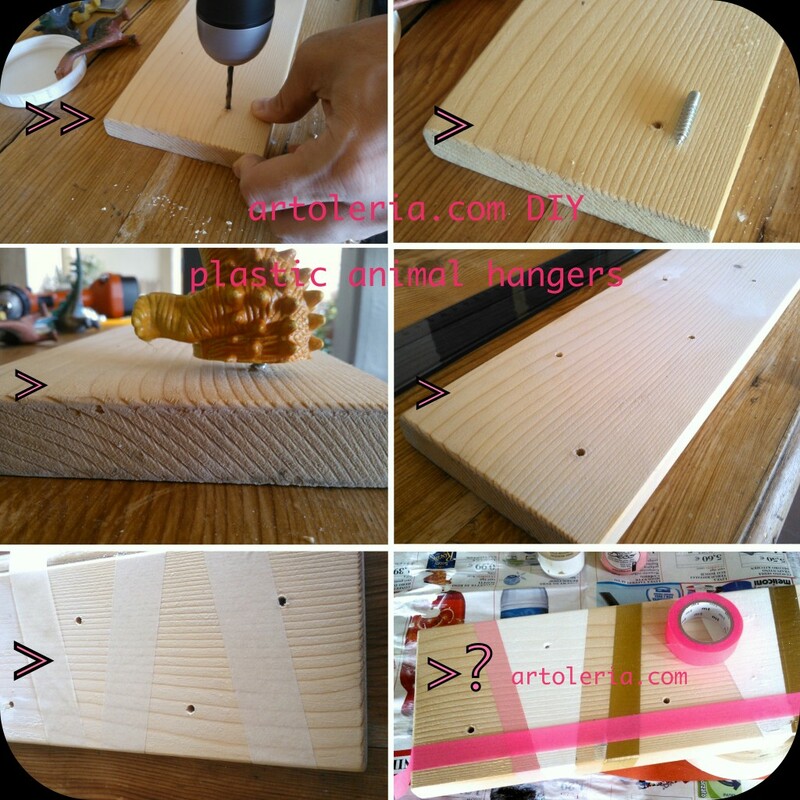 Find the right type screws, cut and drill the plastic animals, invent irregular geometries serving me of paper tape, think Masking Tape for finishing the colors I was missing. A curiousity: the piece of wood was recovered from the structure of a discontinued sofa. Here, I’ve told you in brief. These are some pictures at work. But if you have questions come forward! Do you like the result? I can not wait to prepare the wall for it! 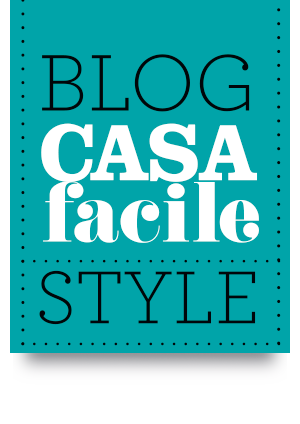 Questo articolo è stato pubblicato in decoration, English Artoleria!, Home decor, Tutorial e Fai da te (DIY). 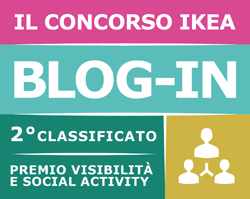 Aggiungi ai preferiti: link permanente. Scrivi un commento o lascia un trackback: Trackback URL. What an excellent idea and the hanger looks so cute! I like that they are dinosours!! Nice to meet you in the BYW class. Hi Kaho! So good to see you here! My time to be in the forum-class is so little that I’m really glad someone spent his time to come and visit my blog from there! It’s a really good way to keep my attention :) I visited you blog too my creative, stylish, “global” mate ;) ! !